Get ready for long and image-heavy post. I'll break the weekend down by day, but be warned: the adventures started on day one, and there's a lot to say! I was supposed to do my 18 miles Thursday morning and Kristin was going to join me for the first hour. Unfortunately, she had to back out. I was determined, though, so I was out the door at 5am. The first few miles kind of sucked, but once I warmed up I started to feel pretty good. I kept a fairly steady pace for the first 11 miles. Then, as I began the second loop of the run, the headwind picked up. Rather than fight it, I turned into a neighborhood that was shielded and ran it a couple times to complete the 18. I took quite a few walk breaks from mile 15 on, but when I ran my legs felt refreshed, so my average pace didn't suffer. Guys, I'm on my way to my first 100-mile month!!! I'm so excited!! When I got home, Meg had just arrived. She and Matt got the cars situated while I showered and finished packing. Then, we hit the road. Two hours into the drive, disaster struck. 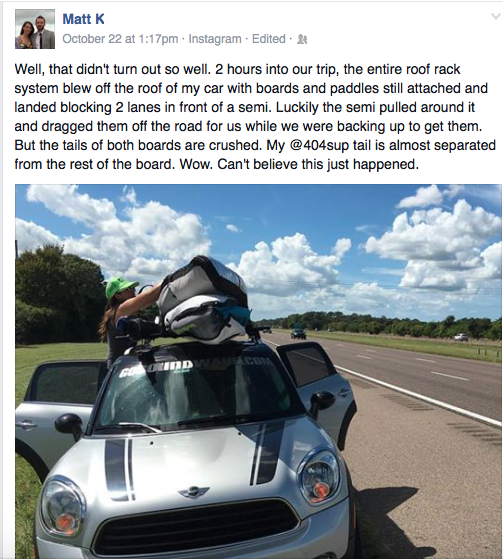 We heard a giant RIIIIIIP and looked back to see the entire roof rack system flying off the car! And as we watched in horror, a semitruck bore down on the paddles and boards as they landed in the middle of the interstate. Luckily, somehow, the semi driver avoided the boards, pulled over, and ran onto 75 to grab them and drag them off road. The entire thing was surreal. The boards were still perfectly attached to the roof rack; the entire rack itself was fine. But the boards were destroyed. Matt trained for months on this board...and the unthinkable happened. Matt's and Meg's SUP boards are carbon fiber, which is super delicate and lightweight. Where the boards hit the pavement, they had smashed. Matt's board cracked about 12 inches in all the way through. We went into survival mode: get the boards back on the car. Get off the side of the interstate. Check the paddles (luckily both were completely unharmed.) Call the race team and get replacement boards brought up. Glad we started the trip a day early. 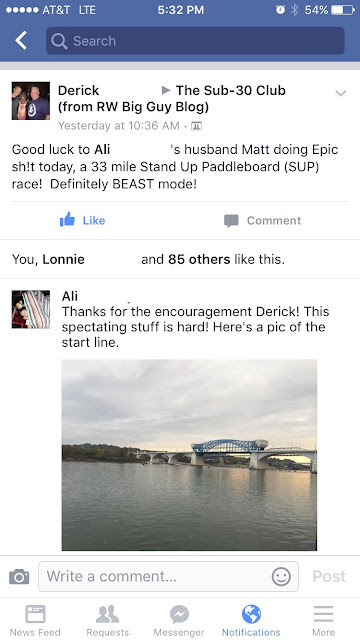 As we waited for board delivery at a Denny's, Matt posted about the disaster on Facebook, and suddenly tons of paddlers were stepping up to help. He posted this on FB and within minutes the paddling community reached out to help. Amazing. We took them up on the offer. So after this event delayed us about four hours, we finally got back on the road. We were all in shock and losing the boards was freaking surreal, but not for one second did we consider missing this race. No way. We got to a hotel just outside Chattanooga at 2am and slept. Our plan for Friday was to take a tour of a bird lab before going to race check-in. We got up for breakfast and I saw some guys wearing Ragnar shirts in the lobby, so I struck up conversation. Apparently Ragnar Tennessee was going on that same weekend, so I wished them luck. I was hoping to see some runners throughout our day, but we didn't. The bird lab was really fun. We hiked through the Tennessee River Gorge to the lab site and learned about why the ornithologists are tagging birds and gathering info on them. 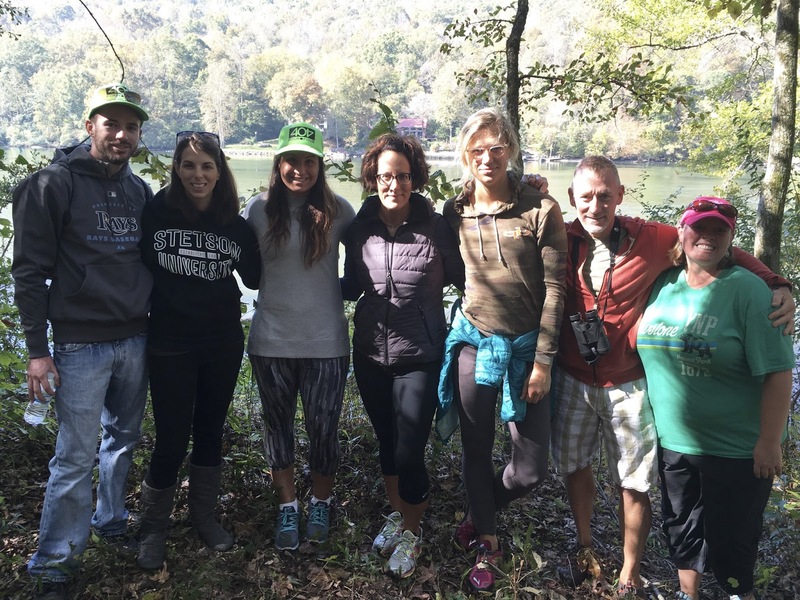 (The race raised $4300 for the Gorge Trust, which goes toward conservation efforts for the river and forest.) We hiked along to find birds that had been temporarily captured to be tagged. Matt, me, Meg and some other paddlers at the Gorge. I was allowed to hold and release a bird; I thought Matt was taking pictures but actually it was video, so here I am being totally awkward with a female towhee. It felt so good to hold a bird again, but it was bittersweet. After the lab, we attempted to check in to our hotel. The lady at the desk was totally unhelpful and awful (we were early to check in but the hotel was overbooked so we wanted to make sure we got the room we wanted, and she refused to work with us.) We left and grabbed lunch at Sticky Fingers barbecue, which was amazing. I called my dad for his birthday and got some insurance advice regarding getting the boards taken care of. We finally went back to La Quinta to check in, and the new person at the desk gave us the bad news that the room we wanted was taken. He told us he'd have upgraded us to the king suite for free if we'd come in earlier, at which point Meg explained that we had been in earlier but the unhelpful desk clerk turned us away. So this guy pulled some strings and got us the king suite we wanted. 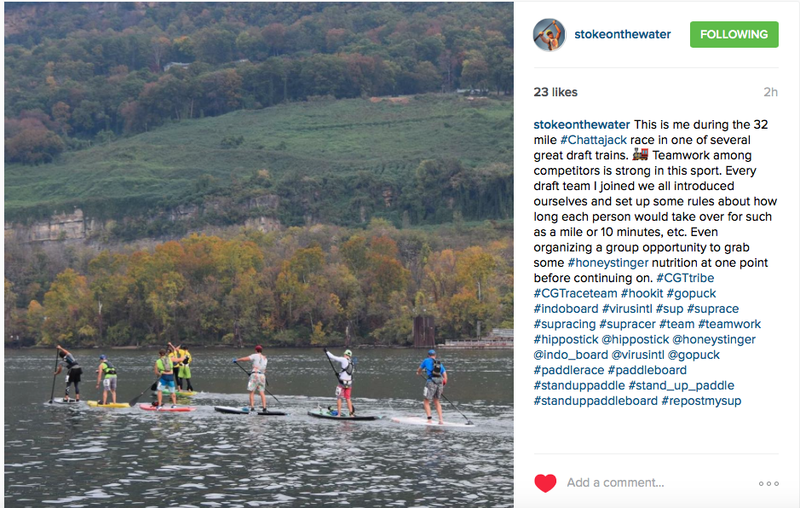 We headed to race check-in and Matt and Meg got in a practice paddle on the replacement boards. Waiting in the check-in line. At first they couldn't find Matt's name, and we were like OH HELL NO because we'd had enough bad luck this weekend already. But then they found him, and things were fine. The flow forecast was hilarious. 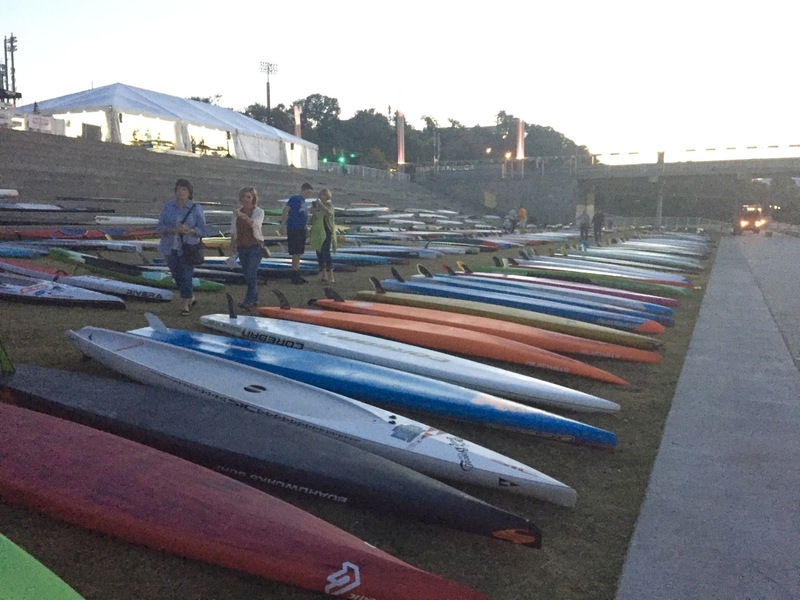 The paddlers want a higher number, and were lucky to get 25,000 the morning of the race, which definitely helped. Meg and Matt check in. The board-holding area and start-line. 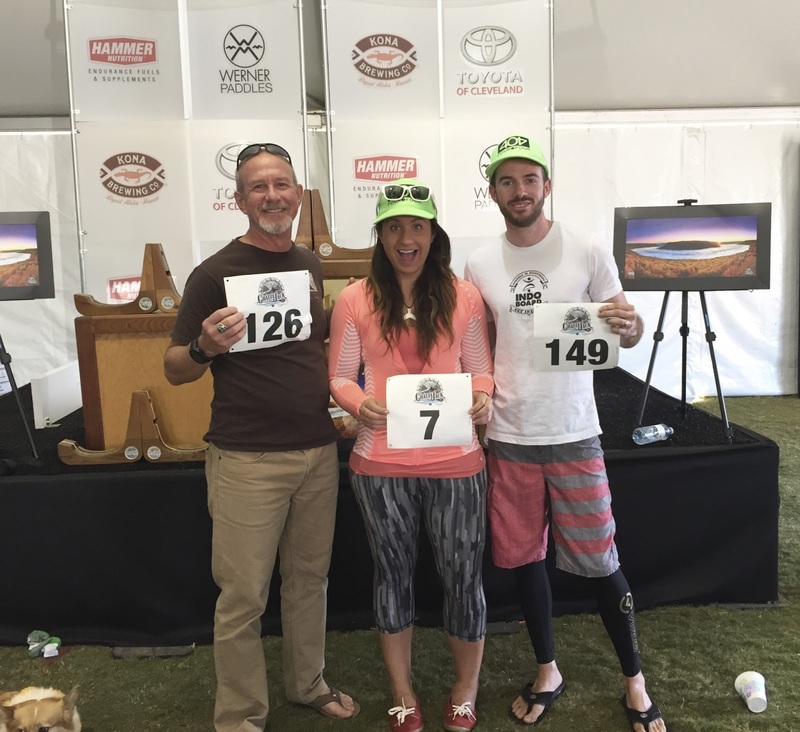 CGT Team Riders Mark, Meg, and Matt in front of the podium. 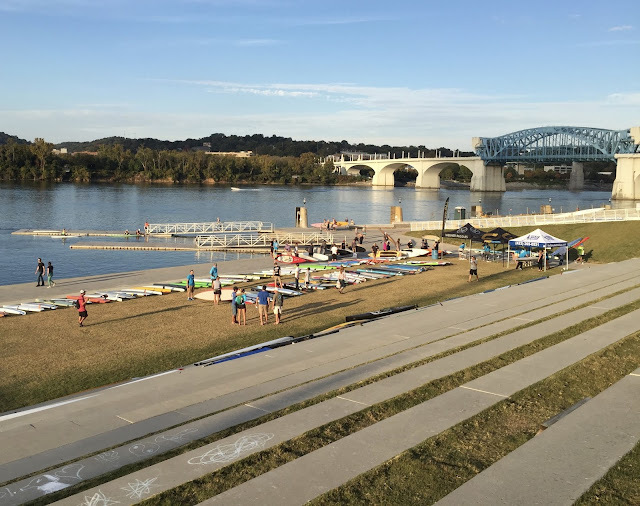 There were ~300 paddlers this year! The race grows yearly and sells out FAST. Finally, Matt and I went to dinner with Quack (a college friend who lives in Chattanooga now) and his girlfriend Anne Marie. We ate at Tupelo Honey and it was freaking amazing. I had a spicy shrimp and grits meal, and I think the goat cheese in the grits was what made the difference. It was probably the best shrimp and grits I've ever had! Friday night we'd realized that Quack's plan to meet me at the start and drive me along the course wouldn't work because he had an event to go to for work. (I can't drive Matt's car - stick shift.) So last minute, Matt posted in the race Facebook page asking if I could join any Sherpas. 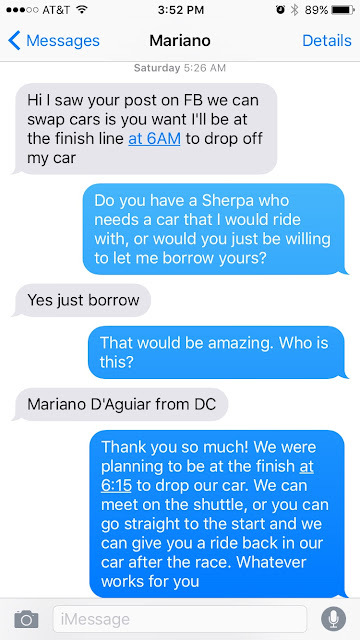 Saturday morning, a racer texted me that I could use his car all day and meet him at the finish! We parked at the finish and waited for the shuttles to come bring us to the start line...But the shuttles were an hour late! Everyone was really freaked out about what that would mean for prepping their boards, but we heard the race director was postponing the start until the shuttles arrived and got us there. I found Mariano and Krissee (our car saviors) and they handed over their keys. I wished them luck and ran back to Matt to gather all his things. I also took Meg's bag. I had four backpacks on at that point! It's hard to tell, but those tiny dots under the bridge are all the racers lined up, ready to go! I wish I could post a larger picture on the blog, but it won't fit. 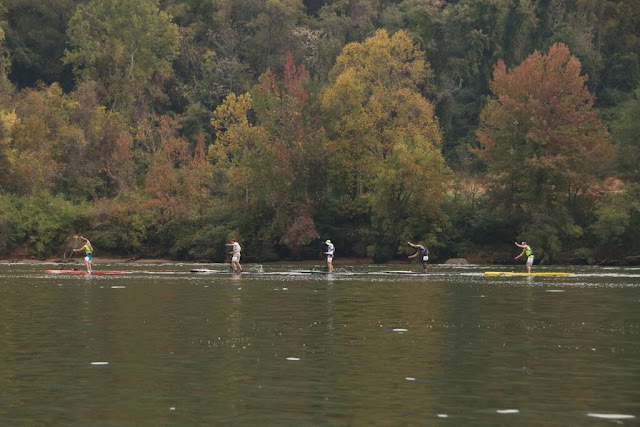 At 8:30am (instead of 8:00), the paddlers lined up at the start and began their race! And they're off! Matt's in there somewhere. I took some starting line photos and logged into Facebook to post them. Imagine my surprise when I saw my running family had taken it upon themselves to cheer Matt on! The Sherpa guide was really confusing to follow, so I missed Matt and Meg at mile 10.5 by just a few minutes. The other reason I missed them? They were flying. Matt was estimating a 6-7 hour finish, and usually 10.5 miles would take him about two hours, but he got in the lead draft train early on and was absolutely rocking his paces. In this photo, Matt is 2nd to last. Paddlers take turns leading the draft, then move to the back position when they're tired, and the next paddler takes over. It saves energy but takes a lot of skill. Still 2nd to last here. I tracked him and Meg using Find My Friends and was finally able to figure out how to find them along the course, but not before taking a few more suggestions from the Sherpa guide that were pretty useless. Some more drafting pictures. Matt said he was able to to draft about 70% of the race, which helped him keep his faster pace. 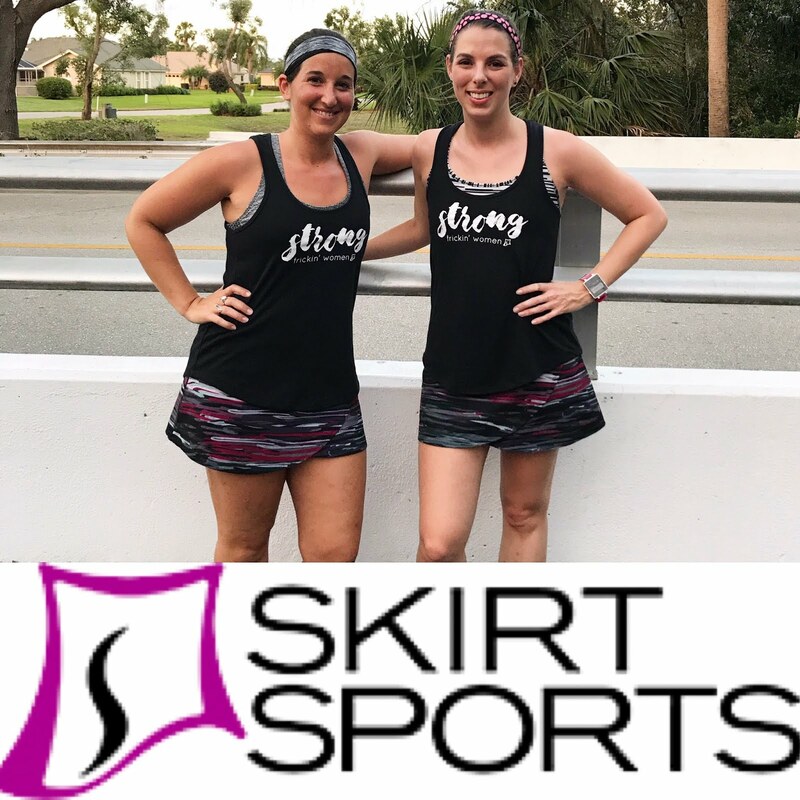 I found them both at mile 25, well ahead of schedule, and also introduced myself to Ashley Marston, whose board Meg was using. I thanked her for their generosity, and she was wonderful. She said she took photos of Matt and Meg at mile 10.5 and they both seemed great. Meg going strong! The river stays open to boat traffic during the race, and there are aid boats out on the course as well. The Marston family: Heath and his three kids, twins Gracie and Hailey (12), and son Will (14). I drove to the finish line and got situated on the pier. Quack, Anne Marie, and Matt's cousin Nikki and her husband joined me. 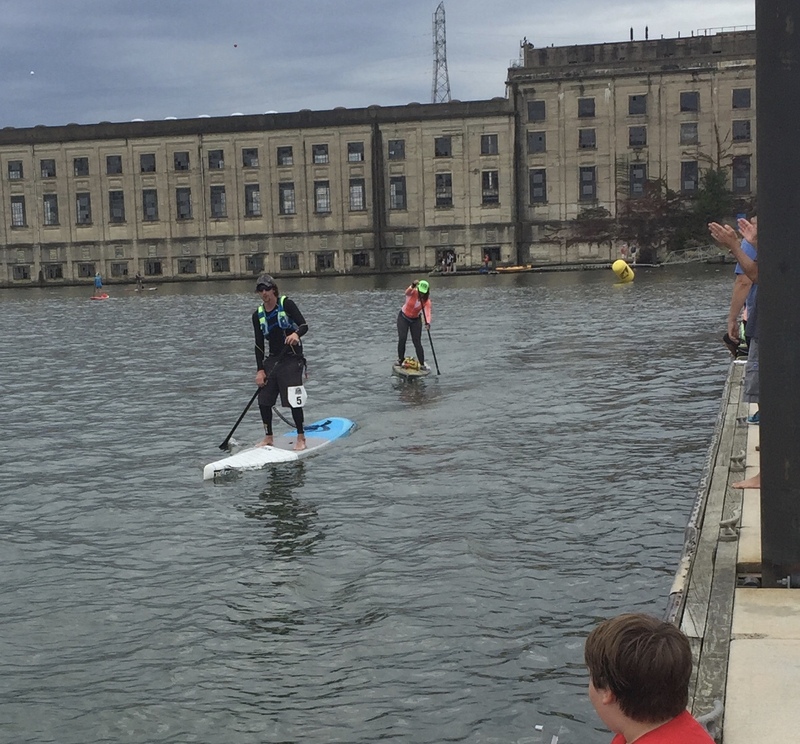 At the end of the race, paddlers have to come around a yellow buoy right near the pier and then sprint to the end. When Matt appeared, I jumped up and began running alongside him on the pier, shouting and cheering and basically urging him to push himself fully to the end. Because I ran with him, I could only steal photos of Matt's finish. I'm glad he had a cheering section there! I was actually really emotional. I was overwhelmed with his accomplishment, and with knowing all we'd been through to get to this moment. I ran through the finish with him and then stood at the end of the pier grinning like an idiot while he dropped down to his board and finally, finally relaxed. All smiles post-race. Matt's fingers had blistered really badly, but otherwise he was in good shape. His time was 5:40, a minute faster than my marathon time, and more than an hour faster than he had estimated he'd finish. As he floated in the finisher's zone, his friends gathered, and I went to find Meg. As she rounded the bend about thirty minutes later, I ran her in to the finish, too. I couldn't help but giggle when Meg immediately lay down flat on her board. I can't blame her! 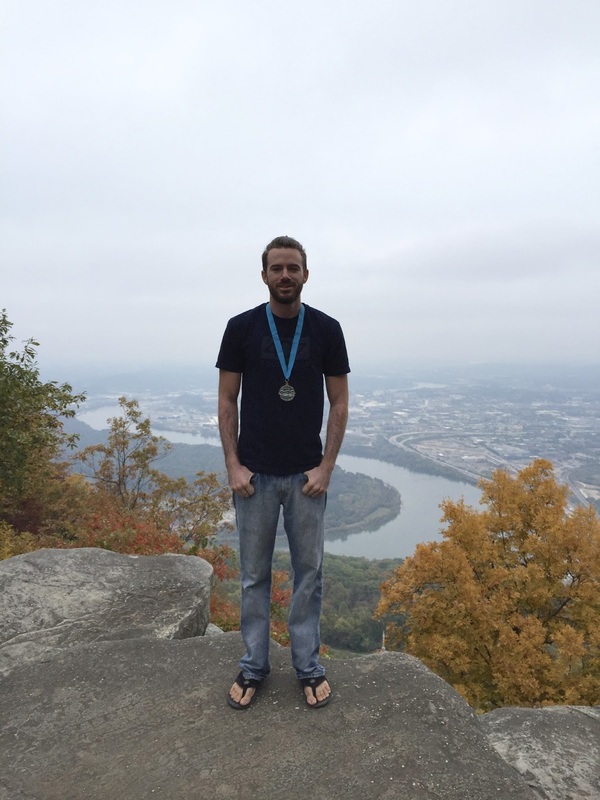 "Matt seems less awed by his accomplishment than I was of my marathon. Maybe because he sees himself as a strong, capable paddler and therefore expects success and greatness. Whereas I see myself as a weak runner who must work hard and overcome. Any success is a huge deal." I also wrote: "Like with running, you can't judge a competitor based on body type, age, or other surface-level factors. And it's inspiring to see non-obvious athletes compete. And the community is so wonderful." Anyway, we cleaned up and then had dinner with Quack and Anne Marie before heading to the awards ceremony. Matt and Meg at the awards. And then, exhausted, we called it a night. We ended up sleeping in and then driving the entire way home Sunday. We made one stop to take photos. How epic is this? I'm beyond proud of Matt. 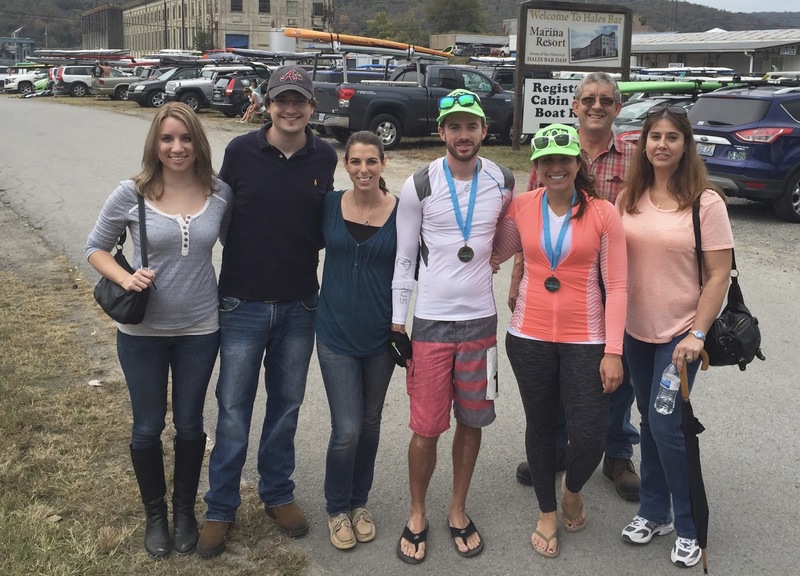 Despite all the setbacks, he pushed through and conquered what turned out to be 32 miles. He barely fueled during the race because he wanted to stay with his draft trains, and yet he came in well under his estimated time. Meg and Mark both also finished strong; Team CGT really represented! Matt and Meg are already talking about doing this race again next year. They both feel they can place if they race in a different class (board length) and change up training a little bit. But obviously, they're both taking a little time off to recuperate first! 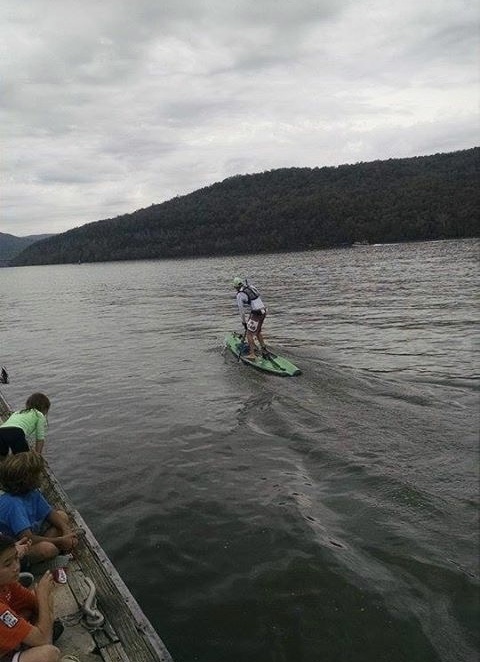 Thanks for all your support on my last post...If you have any questions about SUP or the race, Matt will answer anything he can in the comments! I honestly knew nothing about SUP before I started following your blog, but I am now also in complete awe of how friendly and supportive the community is. I'm so sorry to hear about the bad luck that you guys had, but am totally inspired by how quickly people stepped in to help out. And complete strangers no less! So cool. Seriously, seeing people step up and offer help almost made the disaster worth it...ALMOST. I mean, when we could have been bogged down and depressed the rest of the trip, and the race could've been ruined, they made sure we had a successful weekend. Just amazing. Wow. I mean, wow. Both at their accomplishments and at all you had to do to get there. Just incredible. I was also really moved by your visit to the bird lab. Sending you a virtual hug. Thanks for the hug...We're doing alright, and we can remember Archie and his memories with happiness now, but we're still grieving. It was really wonderful to hold a bird again. Oh wow that is so awesome!!!!! Just like Lizzy, I had not heard of SUP until I started following you! Conrats to Matt!!!!!!! Thanks!! 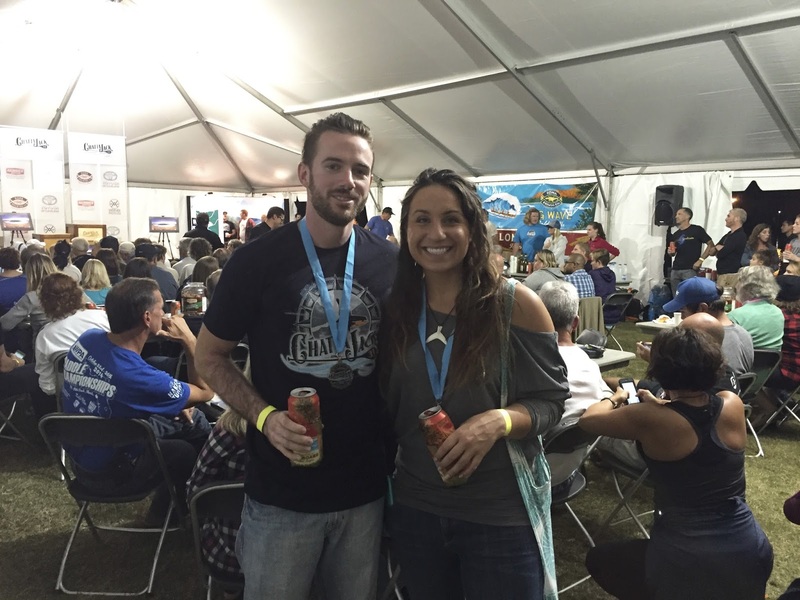 We both felt like we conquered some great feats! This was an awesome post, Ali! I felt like I was at the race with you guys. I cannot believe what happened to the boards. Everything leading up to race day was just crazy!! I guess I do have some SUP qs for Matt... does he cross train at all when he is training for his SUP race? Did he get hungry? I know he wanted to stay in the draft. That reminds me of biking! 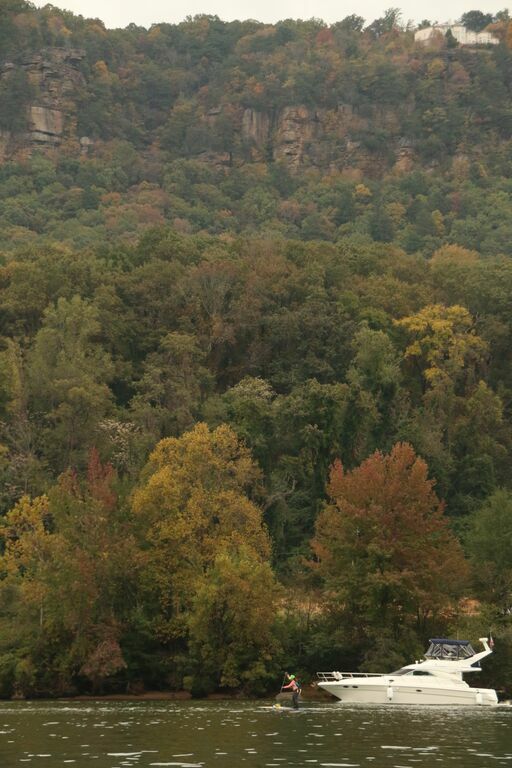 The pic of him overlooking the river is just PERFECT!!!! And congrats to you for getting in 18 solid miles! omg you are running a marathon soon! I do cross train. 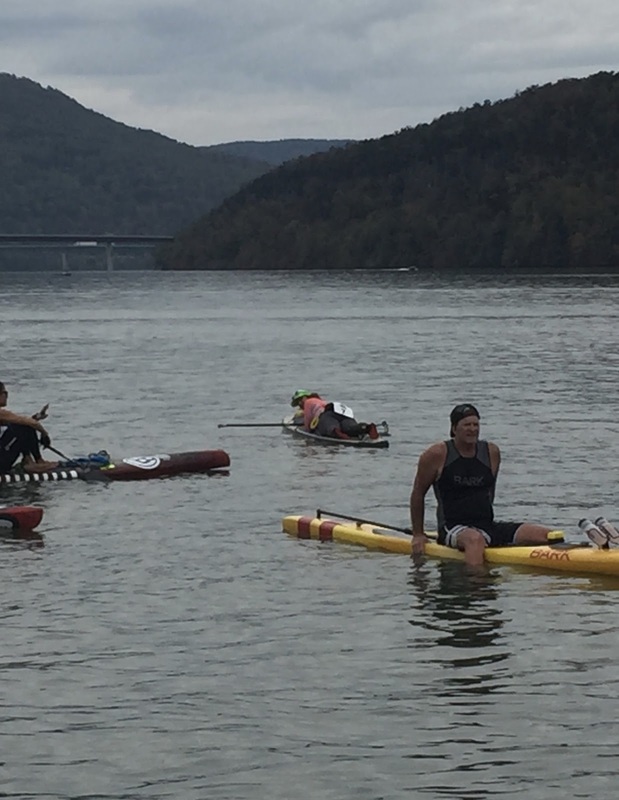 When I was training for this race, I paddled 3-4 times a week, cross trained 1-2 times a week, and did strength training in the gym 1-2 times a week. Cross training was usually a mixture of running, biking, rowing, and the elliptical. Oh and a few times where I counted pushing a lawn mower around our yard in 100 degree heat! Haha. I KNOOOW! 18 miles finally feels like marathon training! Wow that is amazing! I'm glad the community was so great--what could have been a disaster turned out alright. Congratulations to Matt! Woohoo indeed for 100 mile months!! Congrats to you on getting in 18 miles! That is great! It seems early for 18 miles in your training cycle. Does this mean you have decided to do multiple 20-milers? I wanted to push to 18 early because I took time off after Archie. Now that I'm back into long runs and consistent training, I feel like my confidence is back, which was kind of the main point of the 18. I also remember taking a week to recover fully from my 20 last time, so I thought doing 18-20 earlier may actually be good for me on race day. I'll aim to do 18-20 again this weekend, then I have a half Nov. 8, and then I'll bump back up. Race day is fewer than 50 days away! Thank you for helping to make it successful. 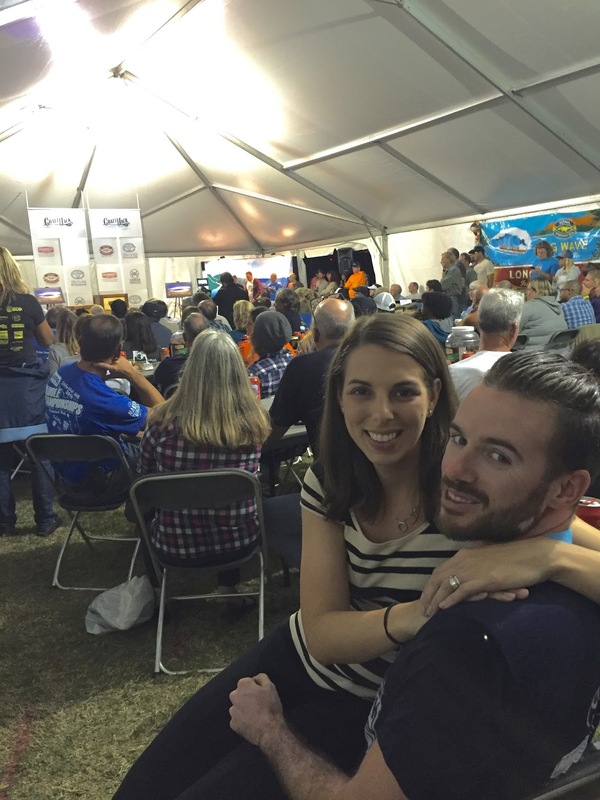 I know Matt & Meg wouldn't have raced nearly as well without your help! Wow, great job to Matt & Meg! What an awesome accomplishment, and more than an HOUR before his estimated time! 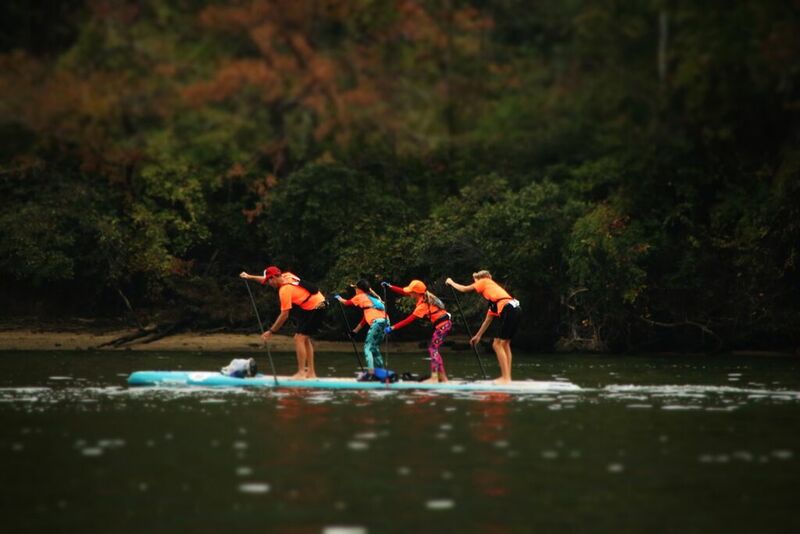 Great pics, I'd love to spectate a SUP race one day. I can't believe the SUP community & how generous and helpful they are! It's really cool to spectate the finish! And watching the start, with all the racers there, is pretty awesome too. Very cool! Congratulations to Matt and Meg, so glad it worked out despite the incident with the boards! It's great when you can support the efforts of your significant other, looks like a really friendly community. SUP looks so HARD - I admire anyone who can paddle for 5 hours! I can barely SUP for an hour before my feet are numb, I have no clue how they do it!